PORTLAND -- A federal judge in Oregon says that beginning next year, the government must spill more water from dams on the lower Columbia and Snake rivers to improve the chances that protected salmon will survive. 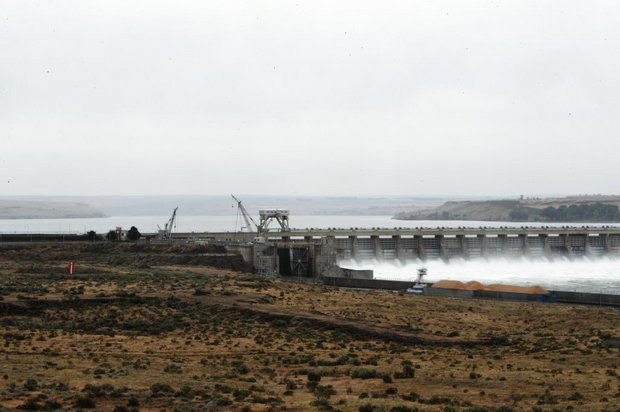 U.S. District Judge Michael Simon said in a ruling Monday that the salmon continue to be imperiled and that the Army Corps of Engineers must spill more water for the fish at eight dams. However, he declined to require the corps to do so immediately, as conservationists requested. Instead, he told the government to spend the next year studying how best to release the right amount of water without created strong eddies or other conditions that could wind up endangering the fish further. Simon is the same judge who last year urged the government to consider breaching the four dams on the Lower Snake River.